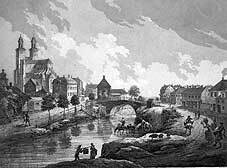 On August 28th, 1728, Linnaeus arrived in Uppsala which to begin with seemed to be a big mistake. The study of medicine was neglected at Uppsala University. Half a century earlier, Professor Olof Rudbeck Sr had adorned the medieval faculty with his many projects, for example by laying out the first University Botanical Garden in 1655, now called the Linnaeus’ Garden. The professors Olof Rudbeck Sr and his son Olof Rudbeck Jr caused the study of medicine to flourish during a few fantastic decades at the end of the 17th century. In 1702 Uppsala was ravaged by fire and the two Rudbecks saw the greater part of their lives' work destroyed. 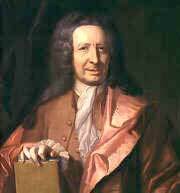 When Linnaeus came to Uppsala in 1728 the elder Rudbeck had long been dead and his son seldom entered a lecture hall. Rudbeck Jr was a gifted physician and his paintings of birds and his expedition to Lapland had earned him respect. However the ravages of the great fire had caused him to lose interest in his own subject. For the most part, Linnaeus had to devote himself to self-instruction. Sometimes these studies took him to the neglected Botanical Garden. 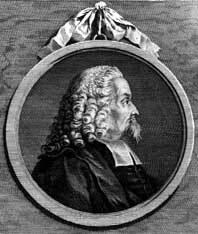 Olof Rudbeck Jr was Professor of Medicine when Linnaeus arrived in Uppsala. He was a distinguished painter of birds. Portrait by Paul Dahlman, Uppsala University collections. what he was doing in the garden. When Linnaeus told him about his studies, the gentleman's curiosity was aroused and he started to discuss botany. The elderly gentleman was impressed by the penniless young student's insight into botany and without more ado he offered him, not only free board and lodging in his home, but also free access to his well-stocked library! Olof Celsius Jr was a theologian interested in botany who helped the penniless student Linnaeus. This was no mean offer – the gentleman turned out to be the Dean of the Cathedral, Olof Celsius, and a well-to-do amateur botanist. (This was the uncle of Anders Celsius, of thermometer fame.) Linnaeus expressed his gratitude by dedicating to Olof Celsius his first academic paper Praeludia Sponsaliorum Plantarum (On the prelude to the wedding of plants) written in 1729. 1729 was also the year in which Linnaeus for the first time met a medical student considered to be the most brilliant at the university – Peter Artedi. They became firm friends and worked together to explore Nature.